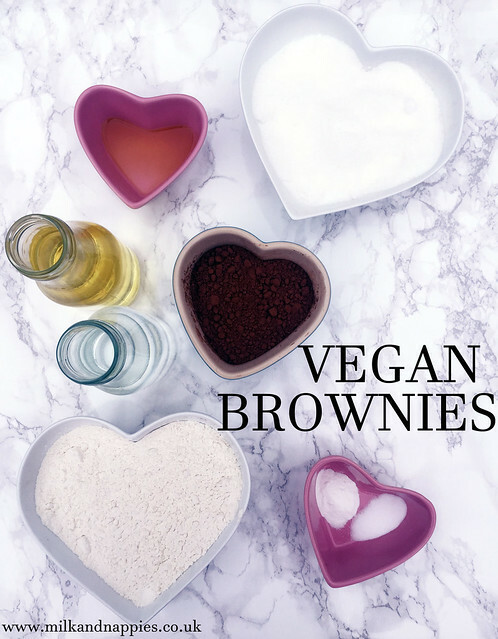 This month is vegan August in our house, and because most treats contain dairy or eggs I decided to whip up a batch of these yummy vegan brownies. Now just because they are vegan doesn't mean they are healthy, because they most certainly are not! 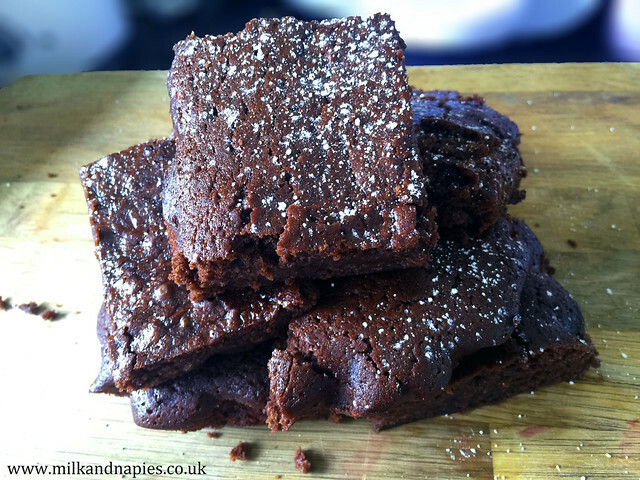 But they are rich and gooey which is everything you want from a brownie! This recipe was given to my dad by a family friend (thanks Alex!) and was passed on to me. 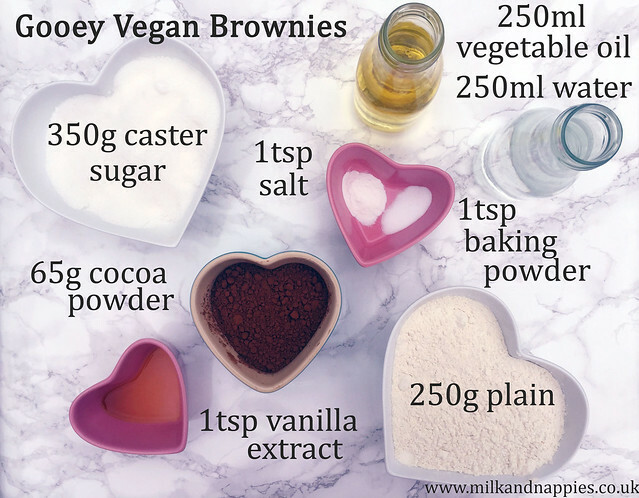 They are really simple to make, and only take half an hour so there's no reason to not give them a go! Combine the dry ingredients before mixing in the liquids thoroughly. I like to use an electric whisk to make sure there are no lumps! You can mix in some nuts or whatever else you fancy! Bake for 25-30 mins at 200C/gas mark 6 (or a little longer if you want them to be a bit less gooey). And that's it! Let me know if you make them, I'd love to see what you think of them! Can you tell they're vegan?